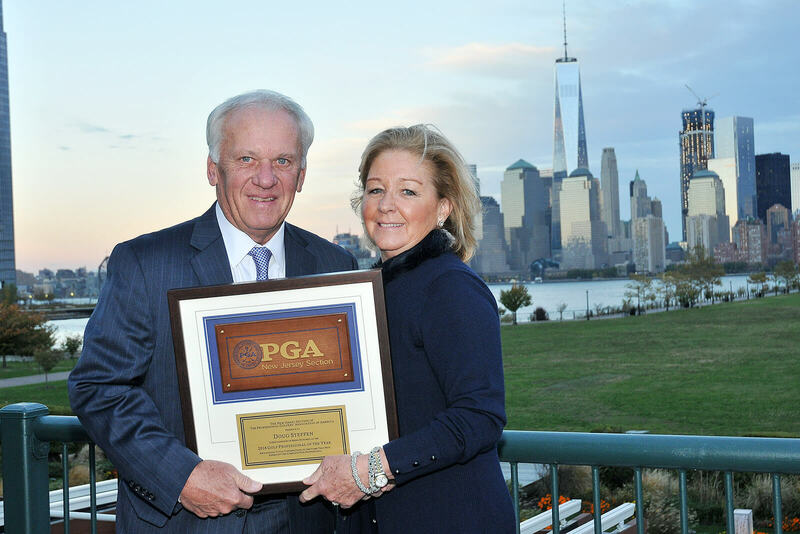 For the second time in his career, Doug Steffen was named the New Jersey PGA's Professional of the Year. In December, the 67-year-old will retire after serving 20 years as the Head PGA Professional of Baltusrol Golf Club. "It has its bittersweet moments, I have to say," Steffen said. "I feel like I could continue for a few more years, but I've been very fortunate and very lucky for the 20 years that I've had here." The Summit, NJ native made his first stop at Baltusrol in March 1977, where he was named the third assistant under Bob Ross. His first job at the famed Golf House was painting the bag room. Less than 20 years later, Steffen had his name imprinted on the outside of the Golf House as Baltusrol's eighth Head PGA Professional in its history. In his competitive career, Steffen played in the 1975 U.S. Open, 1984 PGA Championship, and 2000 U.S. Senior Open. In the Section, he has won the 1999 and 2002 New Jersey Senior Open, as well as the 2000 and 2001 New Jersey Senior PGA Professional Championship. Steffen has received two New Jersey PGA Special Awards, 2000 NJPGA Senior Player of the Year, 2008 NJPGA Professional of the Year, and the 2007 National PGA Private Merchandiser of the Year. In 2015, he was inducted into the New Jersey PGA Hall of Fame. But none of that success compares to his proudest achievement, mentoring 34 Assistant PGA Professionals move onto Head PGA Professional positions. "That's the one thing that I'm probably the most proud of in my career," Steffen said. "I've never really advertised for assistant positions. It's always word to mouth." As Steffen prepares to bid farewell to Baltusrol, he will also be moving down to South Carolina with his wife, Gina, in 2017. "It's so nice to receive an award like Professional of the Year in the year that I'm going to be retiring," Steffen said. "I think I will still be doing something to accompany the game of golf."